I am a Southern Gal through and through and live in the outskirts of Memphis, TN. I love that I am able to use this gift that has been given from above to encourage other Mom’s and whoever may have an interest in some of my writings. I absolutely love to use my gift of encouragement to well, encourage others! For some beautiful reason, I started my writings by writing poetry and published in 2011 Potter’s Hand Poetry and I tell people, “This is a love story between Jesus and me”. 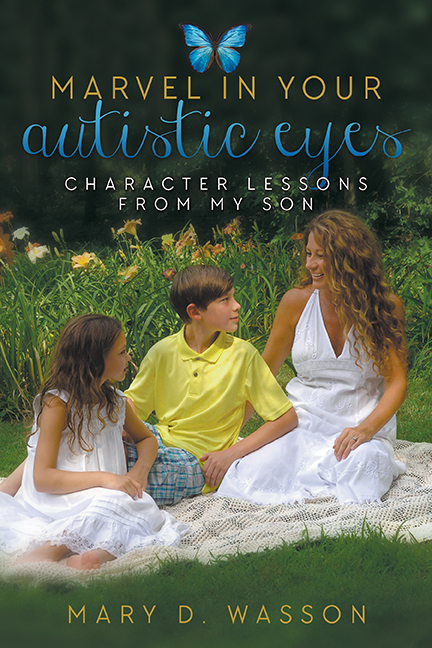 In the coming days, I am proud to present my newest book, Marvel in your Autistic Eyes, Character lessons from my son which is a journey with my son. We are sharing with the world the amazing character qualities children with autism don’t struggle with and highlighting those so people can understand their beautiful worlds. There are many pages full of laughter and we definitely need laughter, with or without autism in our lives.